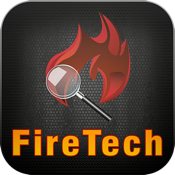 FireTech, Inc. provides fire investigation and consulting services, while working with forensic engineers, to all types of clients. Our fire experts, with a combined total of over 160 years of experience and handling over 14,000 cases, are able to provide superior technical depth in analyses that are rooted in established scientific principles. We offer fire investigation services related to residential fires, commercial fires, vehicle fires, agricultural equipment fires, marine fires, and isolated product related fires throughout the Midwest including Illinois, Wisconsin, Indiana, Iowa, and Missouri. - Call one of our fire investigation experts with one click. - Submit a loss intake request form with the ease of your mobile device. - View the locations of our fire investigators. - Easily send an email to one of our fire experts. - Upload photos and files when you complete our loss intake request form.